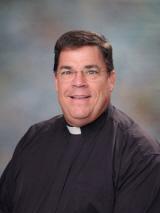 Father Robert Sullivan graduated from John Carroll in 1982. He then attended Auburn University and received a Bachelor of Science in Business Administration (Economics). He entered the seminary in 1988 and was ordained in 1993 at St. Paul's Cathedral in Birmingham, AL. Father Bob worked in many parishes around the state of Alabama before arriving at his current home as pastor of Saint Francis Xavier Catholic Church. In addition to his roles as pastor and president, he serves as the Vice-Chair of the Diocesan Presbyteral Council and Chair of the Diocesan Deposit and Loan Committee. Dr. Anthony Montalto comes to John Carroll Catholic High School with many years of administrative and teaching experience in Alabama. He began his career teaching and coaching at Hewitt-Trussville Jr. High and later at Pinson Valley High School. 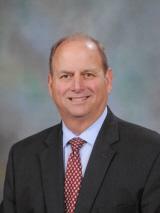 He served as an Assistant Principal and Principal at Hewitt-Trussville Middle School and High School. He then became the Director of Support Services at Central Office of the newly formed Trussville City School system and then the Director of Student Services for Jefferson County School system. 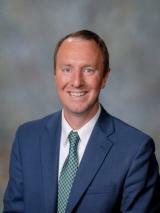 Dr. Montalto is excited to be a part of the history and tradition of the John Carroll family and looks forward to working with a great staff to provide the best high school education and religious opportunities for our students. Hunter Wolfe comes to John Carroll from Montgomery Catholic Preparatory School where he was head of both the history department and soccer program. He was a two time Metro Coach of the Year and led the Knights to their most successful season in school history. He has a Bachelor's degree from Huntingdon College in Global Leadership and a Master's degree in Education from Auburn University Montgomery. A Catholic convert, he is devoted to Catholic education and the particularly interested in the implementation of authentic Catholic identity in Catholic schools.